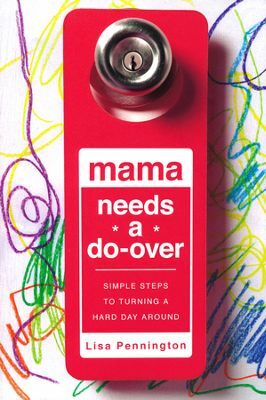 Mama Needs a Do Over is a fabulously, wonderfully written, delightfully, fantastic book!! I love Lisa Pennington’s writing and in the spirit of Jen Hatmaker, she’s written a “pick-me-up” that will have you laughing, crying and amen-ing! Ever have those moments when you wish you could get a redo on life? Those moments when hindsight being 20/20 is just annoying because it shows your failures…Mama Needs a Do Over is a great wake up call for those moments. Lisa Pennington uses her personal examples coupled with great quotes from authors like Lysa Terkeurst, Shauna Niequist and Angie Smith. Speaking into a woman’s heart she talks about being a mother, wife and child of God. Using our God given talents to glorify God in whatever we do, she provides a practical way of working through assignments at the end of each chapter. The first step to not getting depressed over our lack of accomplishing our dreams is to realize that most of those childhood dreams were simply a world of possibility that we didn’t understand. We had no way to now where our talents would take us, so we grabbed on to activities that looked like they would satisfy our cravings. I highly recommend Mama Needs a Do Over and give it five out five stars. I received this book from Netgalley and David C. Cook Publishing in exchange for my honest opinion which I’ve provided here. As a side note, I was able to also do the five day devotional that accompanies this book on the YouVersion app and would recommend that as well.